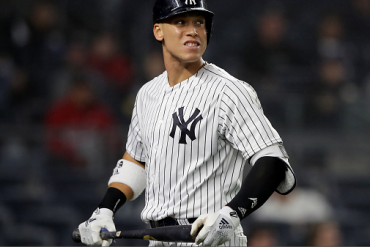 Until a recent slide that has turned the current Yankees season into a Wild Card race, this year’s squad was firing on all cylinders, so much so that there were comparisons to the 1998 Yankees’ championship team. It was never a fair comparison for a few reasons. This year’s team is comprised of a number of young players that are on the rise. The 1998 team was built around a core of proven veterans. Also, the AL East isn’t as strong as it was in 1998 and PED use isn’t running rampant as it reportedly was then. 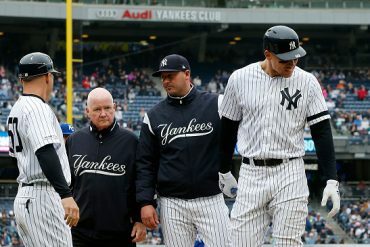 But, most of all, the team should not be measured against the 1998 Yankees because of David Cone, Andy Pettitte, David Wells, and Orlando Hernandez. Admittedly, the hired gun analogy for Cone is a bit worn out and in a way, minimizes his contributions as a pitcher. He was originally drafted by his hometown team, the Kansas City Royals, in the third round of the 1981 MLB Amateur Draft. Five years later, he made his Major League debut and appeared in 11 games for the defending World Series champions. During the following Spring Training, Cone started his journey through baseball. It began with a trade to the New York Mets for three players in a deal that became a steal for the Mets. Cone became an All-Star in 1988, winning 20 games for the first time and finished third in the NL Cy Young voting. The Mets were favored to win their second World Series in three years, but the LA Dodgers hopped on the back of Cy Young winner Orel Hershiser, who buzz-sawed his way through the opposition for the last Dodgers’ title. Cone won a World Series ring and returned that winter to the Royals as a free agent. After a decent 1993 season, Cone was the AL Cy Young Winner in the strike-shortened 1994 season. He finished the season 16-5, winning one-quarter of the team’s 64 victories, and finished with a 2.94 ERA and 1.072 WHIP. That off-season the Royals decided to rework the team and sent Cone back to Toronto for three minor leaguers, only one of which (Chris Stynes) made it to the Majors and had a decent career. In other words, it was another steal of a trade, this time for the Blue Jays. Cone only lasted in Toronto until the trade deadline. With free agency pending once again, the Blue Jays sent Cone to the Yankees for less in return than they sent to the Royals. The Blue Jays received two minor leaguers and pitcher Marty Janzen, who made just 27 Major League appearances. Simply put, the Yankees got away with highway robbery. Cone’s addition to the Yankees was a major move in turning the team into winners. Not only because of his winning pedigree, but because of his leadership in the clubhouse and in his handling of the media. You would also be hard pressed to find a tougher competitor. With Cone, the Yankees made it back to the postseason for the first time since 1981. And, though they lost in the opening round in 1995, the Yankees were on the cusp of a mini-dynasty. Cone missed most of the 1996 season due to an aneurysm in his right shoulder, but returned to appear in the Division and League Championship Series and the World Series. His performance in Game 3 vs. the Braves in the World Series helped to turn the series around. The right-hander added a second World Series ring to his collection in six games. 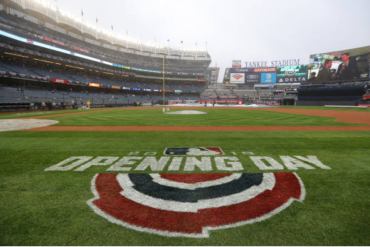 Two years later, the 1998 Yankees embarked on their incredible 114-win journey. Cone won 20 of those games, the first time he reached that mark in 20 years, which was a Major League record. He finished fourth in the AL Cy Young voting, and threw over 200 innings and struck out more than 200 hitters for the final time in his career. In his 13th season in the bigs, “Coney” won games in the ALDS and ALCS, and threw an effective no-decision in Game 3 of the World Series, which the Yankees won in four games over the Padres. Andy Pettitte was only 25 years old at the start of the 1998 season, but he already had three seasons under his belt. He finished third in the AL Rookie-of-the-Year voting in 1995 and was second to Pat Hentgen in the 1996 AL Cy Young voting after a 21-win season. Pettitte was an integral part of the team’s return to the playoffs in 1995 when he finished 18-7, 2.88 and threw a career-high 240.1 innings pitched. It earned him fifth place honors in the AL Cy Young vote. Though he wasn’t as dominant as he was in the prior two years, the Texas-native’s contribution to the 1998 Yankees was as important as it always had been. He topped 200 innings for the third straight season, allowed less than a home run per nine innings, and got his usual high number of ground ball outs. In the post-season, Pettitte dominated the Texas Rangers for seven innings in the Yankees three-game sweep. After a shaky loss to the Indians in the ALCS, Pettitte got back on track in the World Series. He blanked the Padres for 7.1 innings in the Series clinching 3-0 win. Outside of winning their second World Series in three years, the most exciting game of the year was David Wells’ perfect game on May 17. 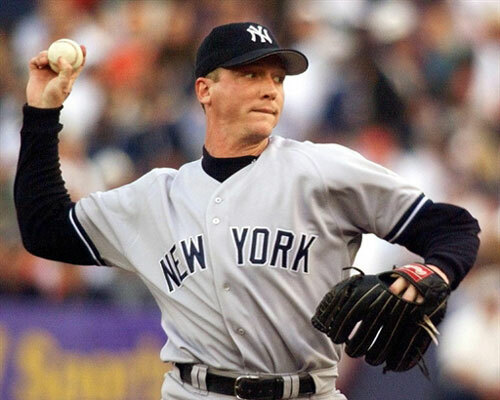 Wells had begun to establish himself as one of the best left-handers in baseball by the time the Yankees had signed him to a free agent contract in December 1996. Originally selected by the Blue Jays in the second round of the 1982 MLB Amateur Draft, Wells made his Major League debut five years later in 1987. In the 1988 and 1989 seasons, he worked out of the bullpen helping to set up closer Tom Henke. Starting in 1990, Wells split time between starting and relieving until he departed Toronto via free agency to become a full-time starter for the Tigers in 1993. Before his departure from Canada, Wells earned his first World Series ring with the Blue Jays in 1992 and also was a teammate of Cone’s for the first time. Wells’ first All-Star appearance came after a dominant first half performance in 1995. 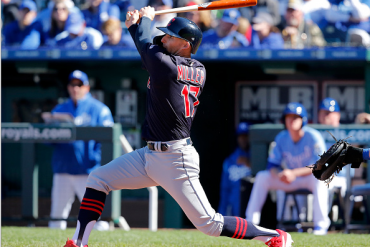 But, with free agency pending, he was sent to Cincinnati that July in a non-waiver trade deadline deal for C.J. Nitkowski and Mark Lewis. In December, Wells was shipped to Baltimore for Curtis Goodwin and a minor leaguer. George Steinbrenner wooed Wells during the winter following the 1996 season and signed the lefty to a three-year, $13.5M deal. Though the Yankees lost the 1997 Division Series to Cleveland, Wells did his part, tossing a complete game in Game 3. Just as the 1998 season was one of the greatest in Yankees’ history, it was arguably the best season of Wells’ career. In addition to his perfect game, Wells led the American League with five shutouts and a career-low 1.045 WHIP ratio. Wells also came out on top with 1.2 walks/ 9 IP and a 5.62 strikeout-to-walk ratio. Additionally, he tossed eight complete games. Wells’ regular season heroics carried over to the post-season. First, he blanked the Rangers for eight innings in a Division Series win. He followed that up by winning two of the Yankees four ALCS wins against the Indians. Both rounds saw Wells top 10 strikeouts per nine innings pitched. 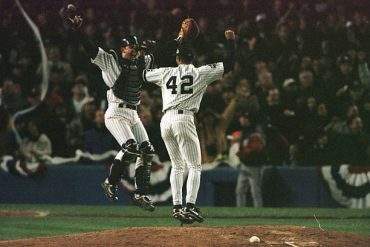 Though he got roughed up early in Game 1 of the World Series, Wells toughed his way through seven innings to pick up the victory that catapulted the 1998 Yankees to their 24th World Series championship. There aren’t too many Major Leaguers that have a backstory quite as interesting as that of Orlando Hernandez, aka “El Duque”. Hernandez defected from Cuba to become one of the top pitchers in Major League Baseball. Hernandez had been banned from playing baseball in his native Cuba, in part because his half-brother Livan Hernandez’s defection to the US and Major League Baseball. The Cuban government was concerned that El Duque would follow suit if given the chance. Faced with no future in baseball, Hernandez, his girlfriend, and six others reportedly boarded a 21-foot sailboat in late 1997 and headed towards Florida. 10 hours later they ran aground on a reef in the Bahamas. The US Coast Guard found them a few days later, with the group living off of the shellfish, bread, and spam they had brought with them when they set sail from Cuba. Offered asylum in the U.S., Hernandez instead chose Costa Rica so he wouldn’t be subject to the MLB Amateur Draft. He received that advice from Joe Cubas, a longtime agent and adviser to Latin American ball players. Needless to say, Hernandez’s story had more holes than swiss cheese. A completely true fact, however, is that the Yankees signed Hernandez to a four-year, $6.6M deal. The original plan was for Hernandez to re-acclimate himself with a full year in Triple-A. Those plans changed in early June when Cone’s mother’s dog bit him on his pitching hand and he had to be scratched from his scheduled start. The Yankees decided to bring up their (supposedly) 28-year old to make his Major League debut. He never went back. Hernandez’s debut came against the Tampa Bay Devil Rays and he sparkled – 7 IP 5 H 1 ER 2 BB 7 K and a win. In his second outing six days later, Hernandez pitched a complete game four-hitter (with nine K’s) to beat Montreal. In all, he made 21 starts and finished with a 12-4 record and 3.13 ERA. He allowed only 113 hits in 141 innings pitched and less than a home run per nine innings. His performance earned Hernandez a fourth place vote in the AL Cy Young voting. In the post-season, Hernandez pitched like a veteran of Major League Baseball. Down two games to one to the Indians in the ALCS, Torre sent Hernandez to the mound for Game 4 in Cleveland. With the Yankees leading 1-0 in the bottom of the 1st inning, that decision almost turned into a disaster. The Tribe had two on and two out, and slugger Jim Thome at the plate. The recent Hall of Fame inductee, crushed a 3-2 pitch to right field. It looked like a sure three-run home run but fell short and into Paul O’Neill’s glove in front of the right field wall to end the inning. The next six innings of his seven inning start were pretty much a breeze for Hernandez, and the Yankees evened the ALCS with a 4-0 win. Hernandez’s World Series start in Game 2 wasn’t much different than his ALCS performance. 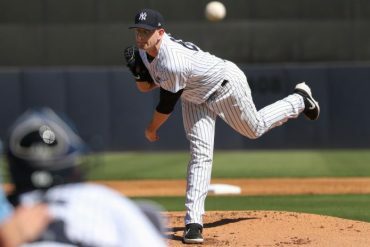 He once again threw seven strong innings, and allowed one earned run in the Yankees’ 9-3 win. Two other starters made significant contributions that season: the late much-maligned Hideki Irabu and swing-man Ramiro Mendoza. Irabu finished 13-9, 4.06 in 28 starts and one relief appearance while Mendoza made 41 appearances, 14 of them starts. As a starter, he compiled a 6-1 record with a 3.87 ERA that included a complete game shutout. One of the 114 regular season wins went to Jim Bruske, who tossed five innings to pick up a victory in the only start of his five-year Major League career.